The natural aging process usually begins in the late 20s/early 30s, since this is when collagen produces starts to slow down, leading to thinner skin. Our skin also becomes drier, thanks to our sweat and oil glands not working properly. Protecting the best skin you will probably have in your life is all about establishing good habits and buying the right products. Trying out different products can is pretty damaging to your skin, especially if you’re experimenting and trying out different ingredients and chemicals. Not many people know, buy it can take up to six weeks to see any visible improvement from a product. Taking care of your complexion doesn’t have to be complicated. The average person also doesn’t have time or money for those popular 10-step skincare routine. Committing to a few healthy skin habits in your 20s will keep your skin looking young and fresh well into middle age. Thoroughly wash your face. Using face wipes might be tempting, especially at night when you’re tired and just want to go to bed. The issue with this is that since we shed around 50 million skin cells a day, when you don’t wash and exfoliate your skin, all of the creams, oils, essences, and serums you’ve been using won’t be able to penetrate it. 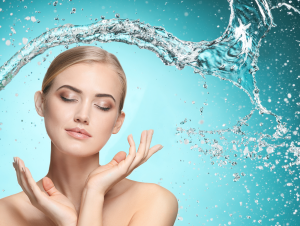 When looking for a cleanser, make sure to check out the ingredients and avoid anything with sulfates. Stick to more natural, moisturizing ingredients. SPF is your friend. Did you know that the last 5 years have been some of the hottest ever record GLOBALLY? And though it might sound like a broken record, you need to start wearing some form of an SPF. The Environmental Protection Agency reports that up to 90 percent of the visible skin changes commonly attributed to aging are caused by the sun. They also report that with proper protection from UV radiation, you can avoid most premature skin aging. Spending time exposed to the sun with no protection increases your risk for skin cancer, so make sure to take the time to find a product that fits into your daily routine. Your skin is your largest organ and it is the only visible one, which is often why it gets neglected. But it is important to take care of it. Antioxidants help to protect skin by fighting free radicals from environmental aggressors (mainly pollution and the sun), which can be damaging to skin cells. Antioxidants in skin care products also do a lot for the health and look of your skin, including decreasing signs of aging. Antioxidants offer great benefits from natural sources including calming of inflammation, firming skin, reducing the appearance of scars, and repairing sun damage. Retinol. These vitamin A derivatives have been proven to boost collagen production, which reduces the look of wrinkles and prevents fine lines, speeds up cell turnover while evening out discolorationand improving skin tone, and help unclog pores to make them look smaller. Retinoids help aging cells turn over faster, which helps aid in new cell growth. You can get gentler forms of retinol in stores. These products are usually balanced with ingredients like shea butter and niacinamide, helping decrease the chances of your skin getting irritated. It is VERY IMPORTANT to remember that when using a retinoid, you need to avoid direct sunlight. Skin treated with a retinoid is super sensitive to UV rays and increases your chances of getting burned. Leave your pimples alone. Anyone else develop the habit as a teen to pop their pimples? In your 20s, doing this can cause long-lasting dark marks. Not only that, but you are spreading bacteria, sebum, dead skin cells, and pus, yes PUS, to the rest of your skin. Popping your pimples can cause a regular pimple to develop into a blemish that is harder to get rid of, like a nodule or cystic acne. Leave your face alone and instead look for a product designed to help speed the process of getting rid of those pesky little bumps. Sleeping beauty. Sleep might possibly be the closest thing we have to a fountain of youth. As you sleep, your body is repairing itself and recovers as you’re sleeping. Skin also produces new collagen while you sleep, which is all apart of the repair process. When your body is deprived of sleep, blood flow decreases in the skin surrounding your face. Your skin appears dull and dark circles tend to form under your eyes. Eat healthy. You are what you eat, or at least your skin’s appearance may reflect what you eat. Instead of binging on fast foods and sweets, reach for food packed with omega-3 fatty acids, vitamin E, and zinc. These foods can help keep your skin clear and rosy. Care for whole body. Skin doesn’t just appear on your face. Next time you are washing and moisturizing your face, make sure to apply all the serum, creams, masks, and sunscreen passed your throat. Your neck and décolletage (collar area) are just as susceptible to the same signs of damage as your face. The skin on your hands is important too and is an area where people often forget to reapply sunscreen. Other often overlooked areas include the scalp, ears, and lips. Exfoliation is designed to remove dry and dead skin cells on the surface of your skin. Exfoliation helps many skin problems, while also increasing blood circulation. Chemical exfoliants have been increasingly popular and ones that include ingredients like glycolic and lactic acid will help brighten your complexion. You should exfoliate your face and body at least twice a week and make sure to apply a good moisturizer after you are done. Under eyes. When looking for an under eye product, make sure it has hyaluronic acid. 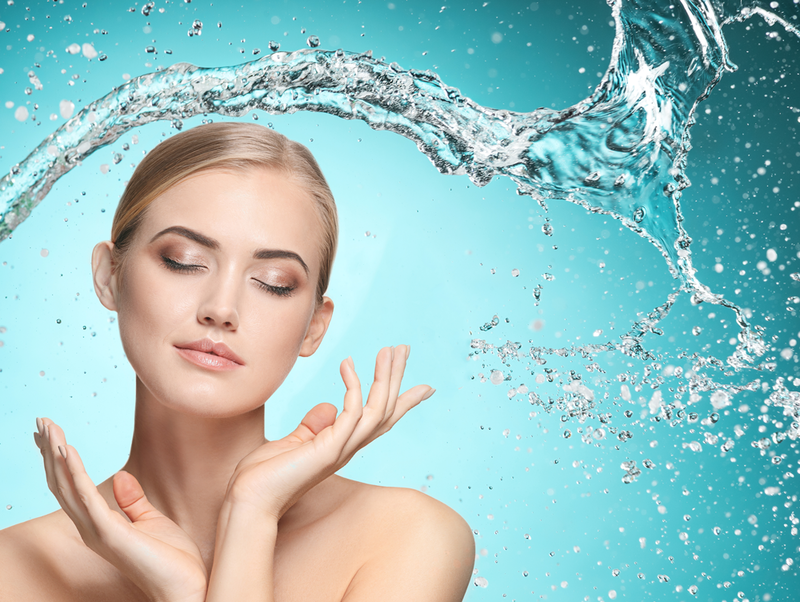 Hyaluronic acid holds water, making it a great for hydrating skin, which helps reduce the appearance of fine lines and wrinkles. Topical treatments can also help soothe redness and dermatitis, while injections can make skin look firmer. While sorting through 10 different bottles and jars can definitely slow down your morning routine, it is also not necessary. When your skin is overloaded with products, it can freak out. You can keep your regimen down to a cleanser, toner, moisturizer and spot treatment and pores will thank you.